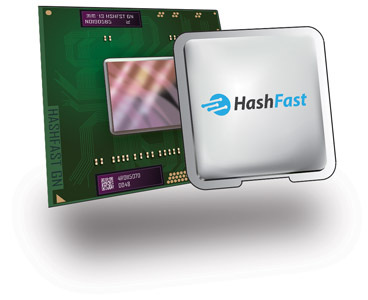 HashFast Silicon has arrived in Silicon Valley! Silicon Wafers Have Arrived in Silicon Valley! The silicon wafers have completed fabrication. The silicon is the core of the chip, and the complicated etching process that creates the circuitry on the silicon is finished. Now the process is starting of taking this silicon, with its complete circuits, and packaging it into finished chips. The wafers are now in Silicon Valley, where they will be sliced into individual die, attached to their substrates, and become Golden Nonce chips. Eduardo deCastro, CEO, receiving the wafers! Sign up for the HashFast Newsletter!